This entry was posted in News on March 1, 2016 by Toby. This entry was posted in News on February 5, 2016 by Toby. This entry was posted in News on January 19, 2016 by Toby. COMING UP….. DECEMBER 12th! Last Perth show for 2015! This entry was posted in News on November 16, 2015 by Toby. This entry was posted in News on August 13, 2015 by Toby. Finally back on Aussie soil…. Toby will be performing with the band at SETTLERS TAVERN on both Sat 22nd and Sun 23rd of August. Get your crew down for some beers and a good dance off! Also… grab your ticket now for THE ELLINGTON JAZZ BAR in SEPTEMBER! This entry was posted in News on August 8, 2015 by Toby. 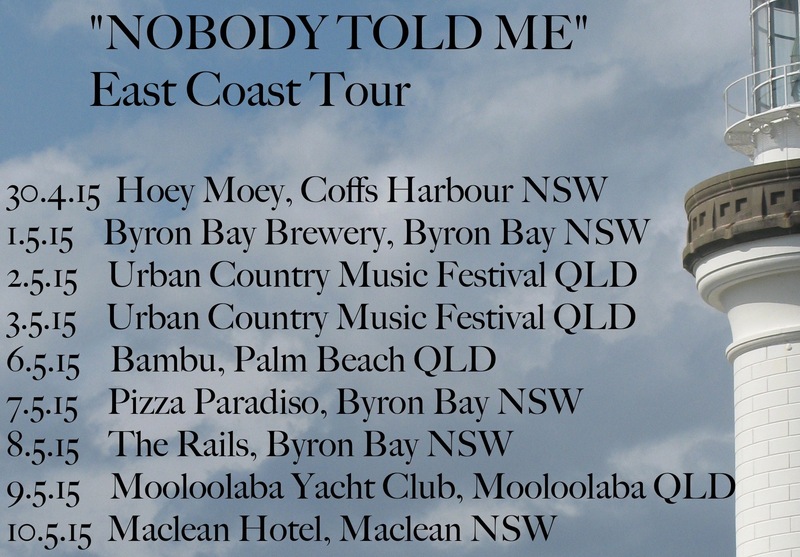 “NOBODY TOLD ME” EAST COAST TOUR! This entry was posted in News on April 22, 2015 by Toby. This entry was posted in News on March 3, 2015 by Toby. TOBY is officially coming home to Perth! TOBY is super excited to be back on Aussie soil. 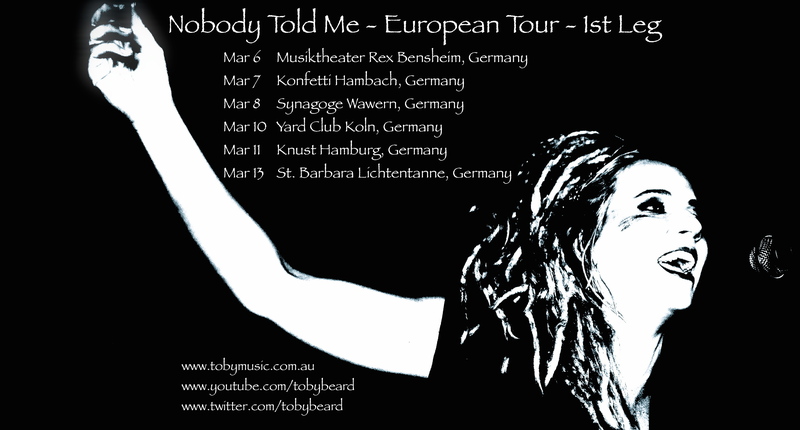 TOBY has two very special Home Coming shows – one North and one South of the river. So we want to see you all there!! This entry was posted in News on August 4, 2014 by Toby.